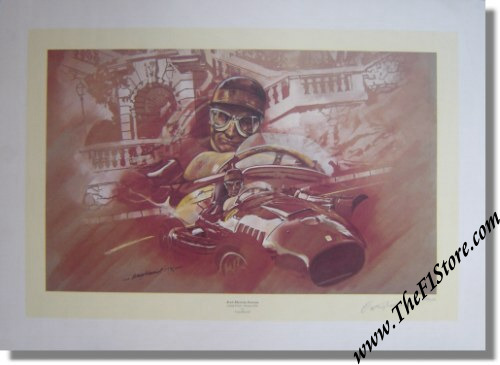 Craig Warwick Juan Manuel Fangio Monaco 1956 Print - Signed by the artist. A stunning piece of artwork showing the great Fangio during the 1956 Monaco Grand Prix in his Ferrari Lancia D50. Fangio finished second after a shared drive with Peter Collins. 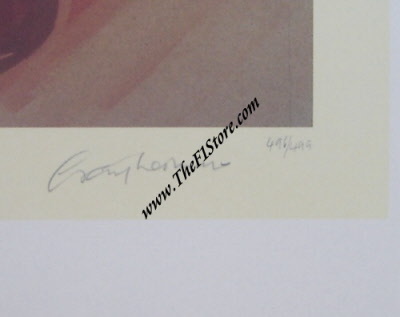 This print is a limited edition of 499 pcs and this is # 496. It has been hand signed by the artist, Craig Warwick. Effective image size (NOT including the white border): 70 x 50 cm or 28 x 20 inches.